Even though I’m not in Finland these days, I do continue to have (and enjoy!) my weekly sauna. The saunas outside Finland are strange: people wear towels around their waists, you can’t throw water on the heated stones (there’s an electric system that does it automatically) and a lot of the time the temperature is lower than it should be. But is this a sauna? How many types of sauna are there? This is the question that we’ll have a look at here. The right way of having a sauna is a delightful experience. Without any clothes on, one takes a shower beforehand (no soap). After that, it’s time to go into the sauna with a bucket and a dipper. Still with no clothes or towels inside the room, you pick a bench and have a seat there. The rocks are waiting for the water, and the temperature is about 80° C.
If you take a sauna and you’re not a Finn, you’d better have Sisu. Source. 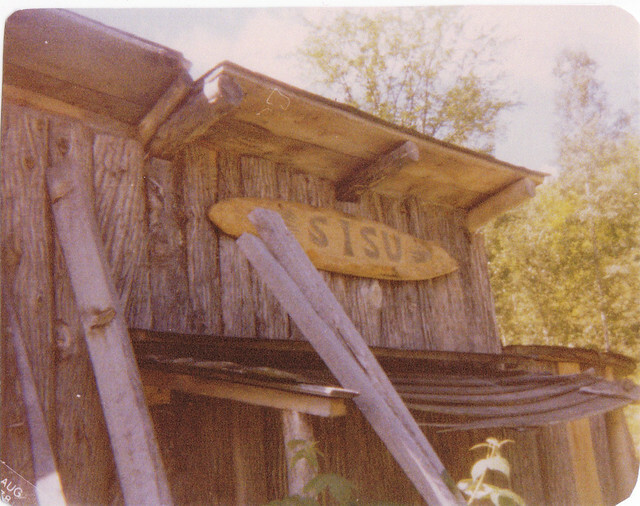 Every now and then – depending on what the sauna’s users want – water is poured with the dipper onto the rocks. The steam is released and a wave of heat comes through. If you have birch branches (in Finnish language they are called vihta or vasta) you can hit yourself with them: they provide a nice scent and improve blood circulation. When you can’t take the heat any longer, leave the sauna to have a shower or to take a dip in a nearby lake (the extreme version of this is ice swimming: going for a swim through a hole made in a frozen lake). After that it’s time to relax and repeat the process as many times as you want! After the last round it is shower time, this time with soap. You will be relaxed and left feeling like new. There are three types of Sauna in Finland. 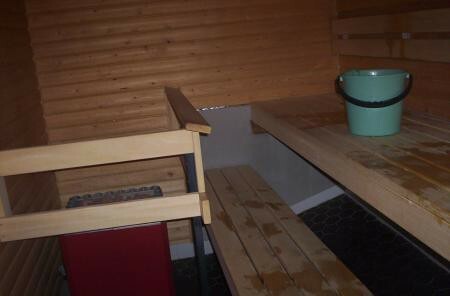 1.- Wooden sauna. If you want to experience one of these saunas, you need to chop some wood (or buy the wood already chopped, of course), and burn this wood in the stove inside the sauna. Light it up and leave it burning for a while, allowing the smoke to leave the sauna through the little chimney. The rocks lie above the stove and, because of the nature of the sauna’s heat, the steam that is released when water is poured over the rocks is very wet and damp. I had this kind of sauna only once in my life, and it was great. There I saw “the spirit of the sauna”, a Finnish tradition that I will talk about on a different article. A wooden sauna with its chimney. Source.2.- The electric sauna is the most common in Finland. You can find it on Finnish homes – either one per house or one per building. This was the sauna we had for the Erasmus students in our building in Finland. For its size, price and ease of installation in any house this sauna is the most used in Finland. The rocks are heated by an electric stove, and that makes the steam that comes out of it a bit drier than the other types of sauna. This is the sauna we had on our building. 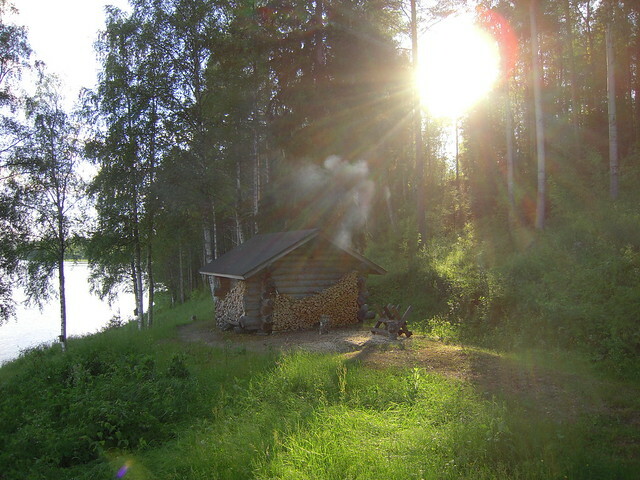 The electric stove heats the rocks.3.- Smoke sauna. Considered by many as THE sauna, the smoke saunas are rare. They are not built anymore, even though they were the standard types in the past. The process to heat them up is long and complicated, and that’s why they have lost popularity in relation to the other types of sauna. Furthermore, they are so old and dry that, since they’re built with wood, many of them burn (one can’t tell from the outside if the smoke is from the wood or the sauna is burning) and they are not re-built. Nonetheless, the smoke saunas have real charm. The stoves don’t have chimneys and the black smoke remains in the sauna. 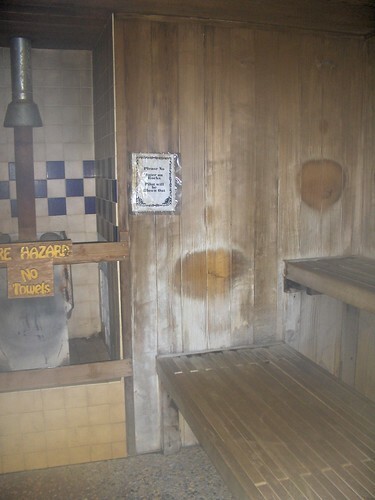 Before having a sauna, it is necessary to let the smoke out and to clean the benches, since they might have some soot. The embers have heated up the rocks and it is time to get in. It is said that the steam that this kind of sauna produces is the best, since it is softer. This sauna is filled with smoke. It must be aerated before getting in. Source. In the following short film, called “Sweat“, the four-time World-champion of the Sauna enduring contest Timo Kaukonen shows us the types of sauna. And, also very interesting, shows us how he gets ready to compete in the sauna championship. When was your last sauna experience and which one of the types of sauna was it? Mine was in midsummer, and it was electric… and what a great time it was! Your site is fun to read and interesting. Thanks for creating such a special place to visit. Much appreciation !